Over the past month, I’ve gone through just about every emotion you can imagine about the Gulf Spill, and I sure know I’m not the only one. At first I was just plain shocked. Then the shock turned to fear when BP proved time and time again they couldn’t cap the well. 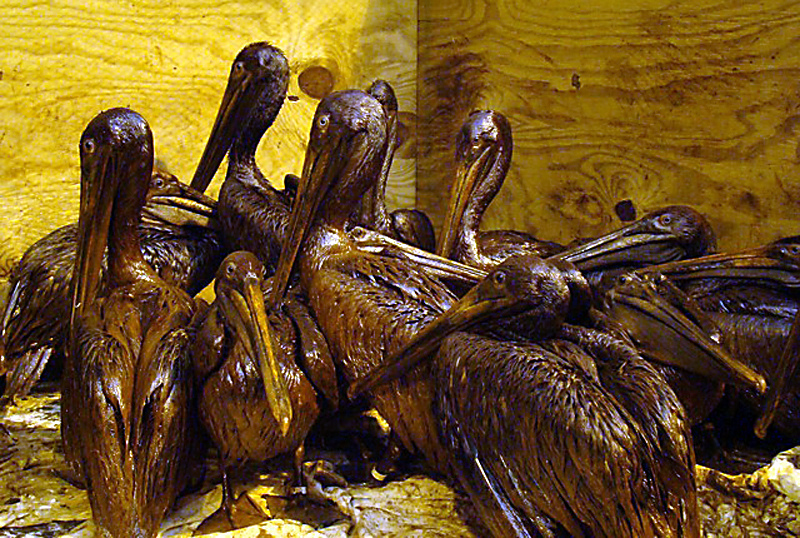 The fear was replaced with overwhelming sadness when the pictures of tar balls and oil covered pelicans started to come in. And then, I got furious. I got furious at alot of things, especially BP, but mostly I was just furious with myself. 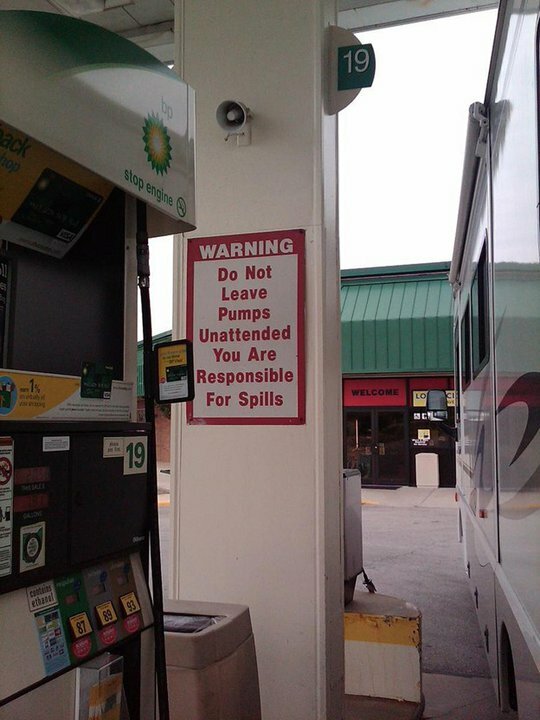 I was furious because, as a frequent oil consumer, part of this blame lies with me. There’s just no other way around it. All of us are at fault here. This spill happened because we consume so much oil. BP, at fault though they are, exists to feed the machine. Us. Of course, after the furious anger came sadness again. But I came to a reckoning with myself recently. The only way I can stop feeling helpless about the Gulf Spill is to do something, anything, that helps stop the cycle. I’ve gone over and over my options: I can’t relocate back to Louisiana to help clean up the spill. I honestly don’t think protesting would do much good. And I’m not sending money, since BP should be footing the bill for every single impact this spill has caused. There’s only one thing I can do to make a real difference. I have to stop using so much oil. When I first realized this a couple of weeks ago, I knew that if I left it at that, saying I had to use less oil, I’d never really do anything. I mean, that’s so vague. And vague ideas never translate into action. I recently read a wonderful article about willpower from Steve Pavlina. He says that when you’re trying to make a major change, you need to strike when the iron is hot and you have the willpower to start on your new path. But, he says, you should use your willpower not to propel yourself forward, but to change your environment to support the change you’re trying to make. Take a dieter for example. When someone decides to go on a diet, they’re on fire to lose weight. So that first week is easy; they drink water, eat veggies, and get plenty of exercise. But after a week their willpower starts to erode, and staying on their diet becomes harder. Resisting those chips and cookies is more difficult. This is why Pavlina says that you should use your willpower, which always comes in bursts of a week or less, to change your environment first. Help yourself over the long term by making change easy when your willpower inevitably peters out. So the dieter could use that first burst of willpower most effectively by chucking all the snacks in the house, joining a gym, and signing up with Weight Watchers. And when the willpower erodes, she’s got a system in place to help keep her going. She changed her environment to help her keep losing weight when her willpower fizzled. Well, I’ve decided to use the willpower principal to start making my own changes. I’ve got to create an environment that supports my mission to consume less oil. Admittedly, my willpower to make this change has lasted more than a week. So far, it has lasted quite a few weeks. But other than just being mad and upset, I haven’t really done anything yet…which is why I needed to create a plan. After giving it some thought, this is what I’m doing to do. I’ve included my plan, as well as some ideas you could use as well. Yes, this is an obvious one, but I have gotten a bit slack about this lately. But not anymore. I’m not leaving the house unless I have multiple stops to make. And I’m only going out if I have enough time to make them all in one go. I am going to be self-disciplined about this. I’m also going to get better at stocking up on essentials, the foods I use the most. This way I won’t need to make an extra trip when I run out of something in the middle of a recipe, which I’m badly prone to do. To combat this, I made a list of my 20 most favorite recipes, and the ingredients I normally use for them. I will make sure I have extras of the non-perishables on-hand. I also cancelled my gym membership, which I thought I’d never do. It’s 3.5 miles there and 3.5 miles back every time I go. Instead, I’ve started running in my neighborhood. And I’m working out at home. I’m still getting great exercise, saving $40/month, and using less oil and electricity. Plastic is made from oil. And living a plastic-free life in this society is almost impossible. But, I can do better than what I’m doing now. I can make homemade bread, or buy homemade from my local farmer’s market (and reuse a plastic bread bag each week). I can buy frozen OJ instead of premade (in a plastic container). I can switch butter brands (eliminating the tub). Seems small and trivial, but I think these little things will add up. I was doing pretty good about eliminating plastic at the grocery store last year. But this is what Pavlina means about your willpower eroding over time. It happens to everyone, and it has certainly happened to me. I’ve been slacking here. I haven’t yet figured out how to create a “system” for this yet. The only thing I’ve thought of is to write “NO PLASTIC” at the top of my grocery list, to remind me every time I’m in the store to look for items with less packaging. Any tips here? I’m also going to dive into Beth’s blog, Fake Plastic Fish. Beth has an amazing blog that’s all about living a life with less plastic. She’s an inspiration, and we could could all take a few pages out of her book. The great thing about Beth is that she measures how little plastic she’s using. So tonight, right before I put out the recycling, I’m going to measure how much plastic is in there, and I’m going to take a picture. That will be my “Ground Zero”. And just like Beth, I’ll start measuring how much I’m using each week. This will motivate me to keep going when I use less, because I’ll actually be able to see that I’m making a difference. This is a tip I’m already doing, but I wanted to put it out there for all of you. I don’t use any oil to mow my yard because I have a wonderful little Scott’s pushmower. You can use less oil by switching to a push mower, and getting rid of your leaf blower. Pushing a reel mower and raking by hand is great exercise, and is much better for the environment. And, it’s 100% oil free. I wrote a post a few weeks ago about the hidden oil in our lives. I was amazed at all the products that are made using oil. I’m going to do my best to avoid these products. If I need any of them, buying used is my first option. Fortunately I don’t wear makeup or paint my nails, so avoiding oil in makeup is no problem. In case you missed it, here are some of the everyday products we use that contain oil. This list comes courtesy of ANWR. Now, some of the items on this list you can’t avoid. After all, you have to have toothbrushes. You need deodorant. But there are plenty of eco options that are low plastic or plastic free. For instance, look at the Radius Source toothbrush. It’s made from recycled dollar bills, to recycled wood, to recycled flax. Very little new plastic. I’d love to hear how you guys are coping with this spill too. Do you have any other tips or ideas on how we can make a real difference? Honestly, this is all I’ve been able to come up with, so if you have an idea I’d truly to love to hear it! Are the little bits of oil that are incorporated into everyday products worth trying to eliminate, especially when a lot of it appears in forms that you’re going to recycle? 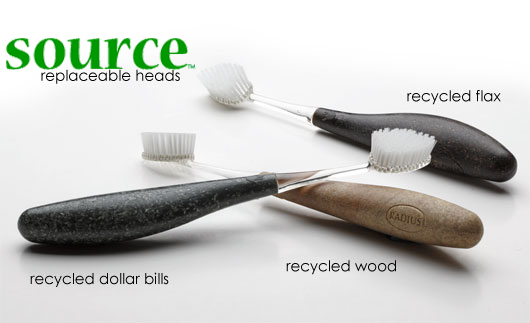 Are your alternatives – even if they use less oil in the product itself – truly greener? The answer could easily be “yes” for some things… but I’m betting not for all things. It’s a good point; I’m sure the oil in some of these items is incremental versus the oil used for, say, taking a road trip. But like I said, I’ve gone over and over my options. I have to do SOMETHING, and honestly this was all I could come up with. Drive less, use less plastic, and try to make my footprint smaller. It may not make a big difference in the scheme of things. But I couldn’t just sit back and continue my normal course of actions after this, knowing that my consumption was, in part, responsible for the spill. In addition to the personal changes you’ve suggested, we shouldn’t forget to flex our political muscles as well – call or email your senator and let him know your concerns, and call President Obama to encourage him to stop the development of more offshore drilling. I planted a small garden and am tearing up part of my yard to plant a larger one. I buy local and seasonal food. I buy used clothes and use the library. I was horrified when I took a carbon footprint quiz. I am making changes. I hadn’t thought about canceling the gym. Have you seen No Impact Man? He has a challenge coming up in August. Great post – loved it!